The next generation of Griswolds is at it again. 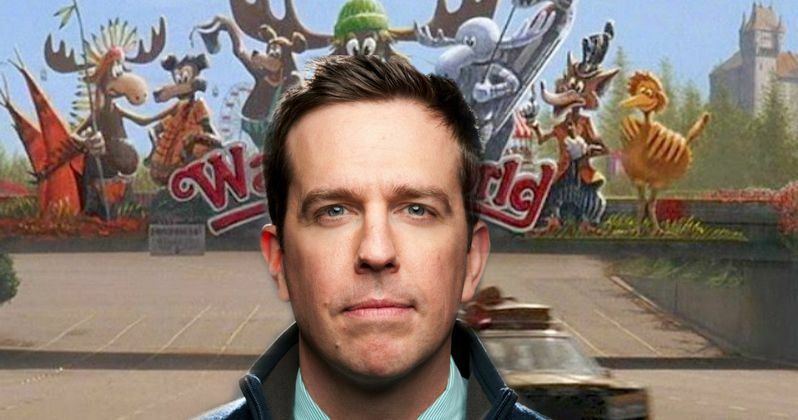 Shooting has begun in Georgia on New Line Cinema's Vacation, starring Ed Helms (The Hangover films) and Christina Applegate (the Anchorman films) on the road for another ill-fated adventure. The film marks Jonathan M. Goldstein and John Francis Daley's directorial debut. Following in his father's footsteps and hoping for some much-needed family bonding, a grown-up Rusty Griswold (Helms) surprises his wife, Debbie (Applegate), and their two sons with a cross-country trip back to America's "favorite family fun park," Walley World. Rounding out the cast are Chris Hemsworth (the Thor films) in the role of Stone Crandall, Rusty's irritatingly successful brother-in-law; Charlie Day (the Horrible Bosses films), who plays a river rafting guide; and Skyler Gisondo (Night at the Museum: Secret of the Tomb, Hard Sell) and Steele Stebbins (A Haunted House 2), who play Rusty's sons, James and Kevin. Chevy Chase and Beverly D'Angelo reprise their roles as Clark and Ellen Griswold from the classic Vacation comedies. Goldstein and Daley (Horrible Bosses, Cloudy with a Chance of Meatballs 2) wrote the script, based on characters created by John Hughes. David Dobkin (upcoming The Judge, Wedding Crashers) and Chris Bender (We're the Millers, upcoming Horrible Bosses 2) are producing, with Mark Fischer serving as executive producer. The directors' behind-the-scenes creative team also includes director of photography Barry Peterson (the Jump Street films, We're the Millers), production designer Barry Robison (Wedding Crashers, Pitch Perfect), and costume designer Debra McGuire (Ted). Vacation is a New Line Cinema presentation and will be distributed by Warner Bros. Pictures, a Warner Bros. Entertainment company.